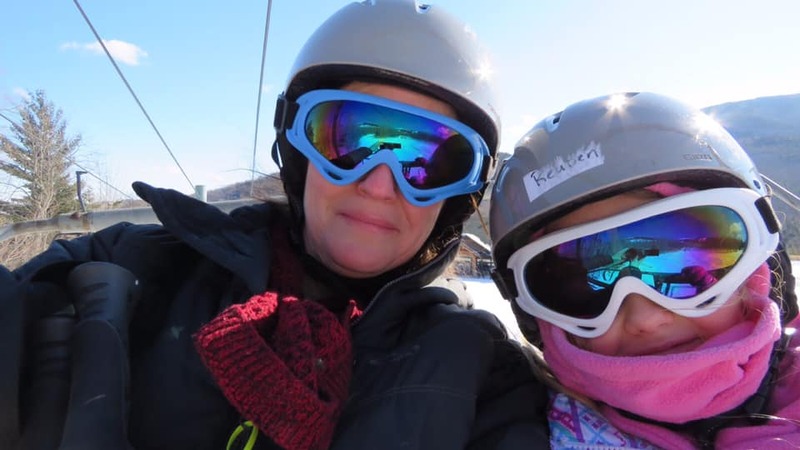 As a mom who loves skiing, I want Athena to learn and feel comfortable on the slopes. I feel confident in my skiing abilities for most mountains, but I’m not a confident ski instructor. I want Athena to learn proper techniques for a beginner and gain the confidence she needs to conquer new heights. She’s had private ski lessons on her own before and she’s progressing but I wanted to attend one of her ski lessons to learn how to better support her on the mountain. 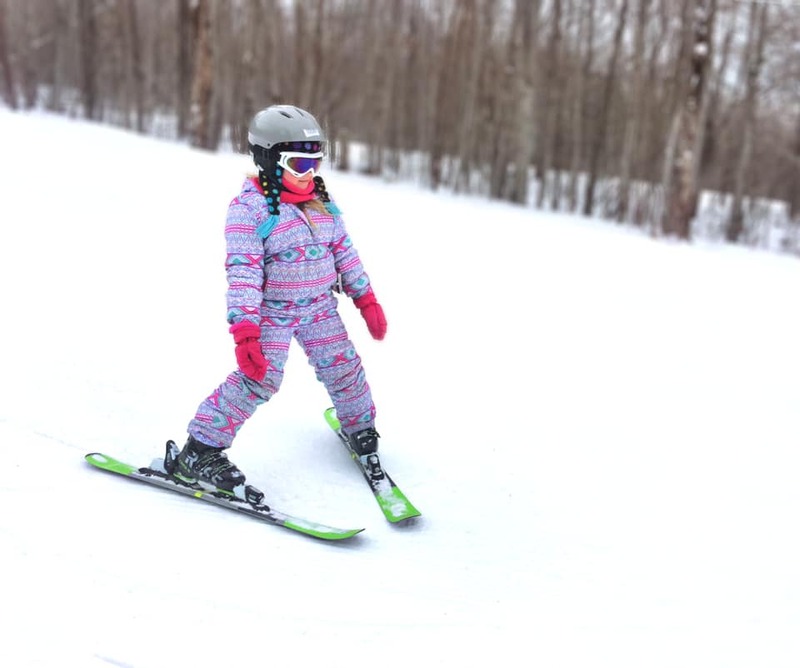 Whiteface Snowsports School was the ideal place for her to develop her ski skills and for me to develop my teaching skills. Their staff are accommodating and friendly, the terrain is ideally located and groomed, they offer one-stop shopping for lift tickets, lessons, and rentals, and their equipment and facilities are top-notch. The pièce de résistance at Whiteface Snowsports School is the ski instructors. 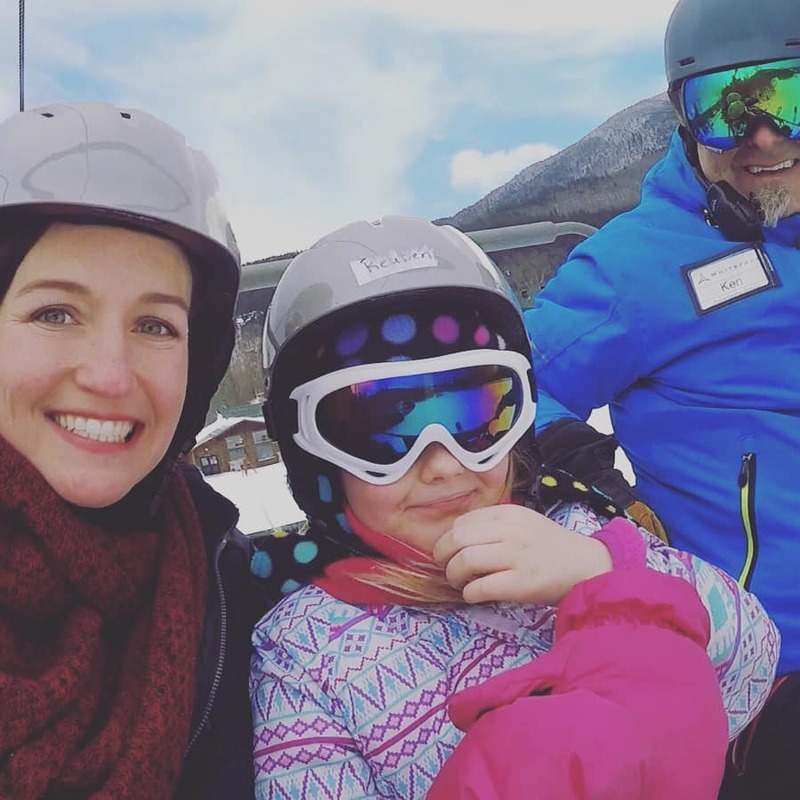 It was the facilities and the location that drew us to Whiteface Mountain but it was our ski instructor, Ken, that gave Athena and I the confidence and skill to try new slopes and push all of our existing limits. The Whiteface Snowsports School is located at Bear Den Lodge. 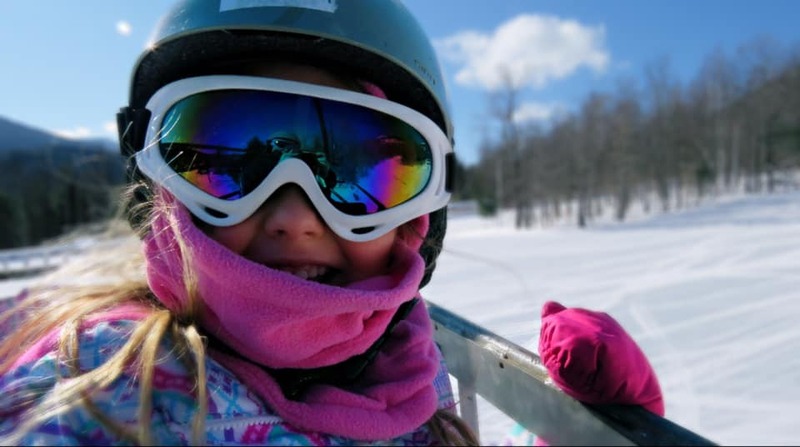 With nearby parking and one-stop shopping for lift tickets, lessons and rentals, they make it easy for everyone in the family to enjoy a great day at the mountain. 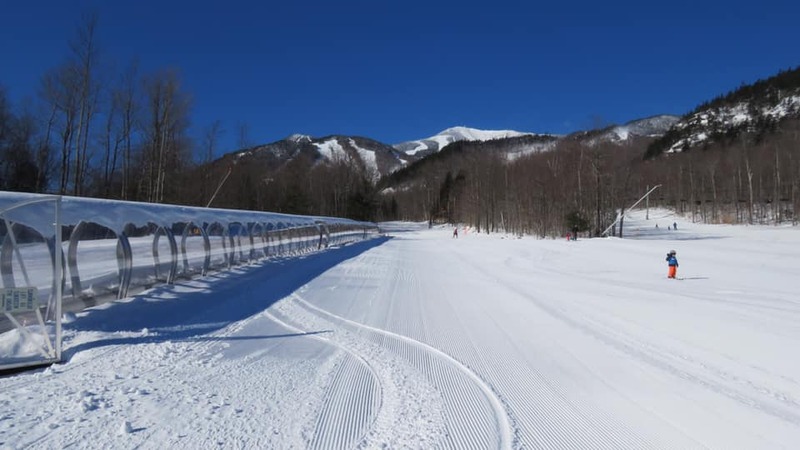 The Bunny Hutch chair lift connects Bear Den Mountain to the rest of the Whiteface Mountain, and a shuttle service runs all day between the newly constructed Bear Den Mountain Lodge and the Main Base Lodge. The separation between Bear Den Lodge and the Main Base Lodge is ideal for beginners. While on the mountain, we didn’t have to worry about advanced skiers passing us at high speeds. Athena could focus on her technique without the stress of others zipping by her or trying to get around her. Besides offering well-groomed trails that are away from Main Base Lodge, Bear Den Lodge has a new, covered conveyor lift, perfect for beginners. With staff waiting at the top of the lift to help beginners arrive smoothly, we felt confident that Athena was being set up for success. There are plenty of mountains to chose from with well-managed facilities, but our instructor at Whiteface made the entire experience exceptional. Our instructor, Ken, is an industry expert, passionate about what he does, and committed to developing our skills, building our confidence, and challenging us with new terrain, all while having fun at a comfortable pace. Ken greeted us at Bear Den Lodge and his calm, welcoming demeanor immediately put us at ease. I explained that I was an intermediate skier and Athena was a beginner but I wanted us to both have the confidence to ski together. While his main focus was Athena, he showed me how to support her and know her comfort level. Ken knew exactly when to push Athena and when to joke with her or make it a game. She was laughing and learning all at the same time, while still seeing him as a teacher. After an hour of training, he was confident that we were ready for the chair lift as a team. Since it was Athena’s first time on the chair lift, I welcomed his presence. It can be overwhelming getting on and off the lift for the first time and knowing the best techniques for a beginner on a new slope. I wouldn’t have even known the best hill to choose for her ability. His knowledge of the mountain and Athena’s capabilities were a huge benefit. I let them lead the way while following like a shadow and listening closely to his instructions. We rode the chair three times with Ken and each time Athena and I felt more confident that we could mange on our own. At the end of the lesson, Athena and I had lunch at the Bear Den Lodge and returned to the mountain with the skills and knowledge to have fun on our own. The cost of an instructor is a small price to pay for that knowledge, confidence, and positive encouragement for us both.